It has been a while since I've purchase some makeup, eye shadow specifically. I've gotten so accustomed to my Coastal Scents and BH Cosmetics palettes that there really is not a need for me to venture out anywhere else. However, the Sephora in my store just opened up and there is nothing like seeing new things. So I picked up a knew palette for only $18 bucks. It is the Artist Color Box by Sephora. Inside, the palette comes with 24 eye shadows, 6 lip colors and 4 eye pencils. I just couldn't resist. I went for a nuetral lid and blue liner at the bottom. I wanted to go for something that wouldn't cause too much of a scene at work, I usually tend to keep it simple. Nonetheless, I absolutely love this palette! The colors are super pigmented and blend like a dream. 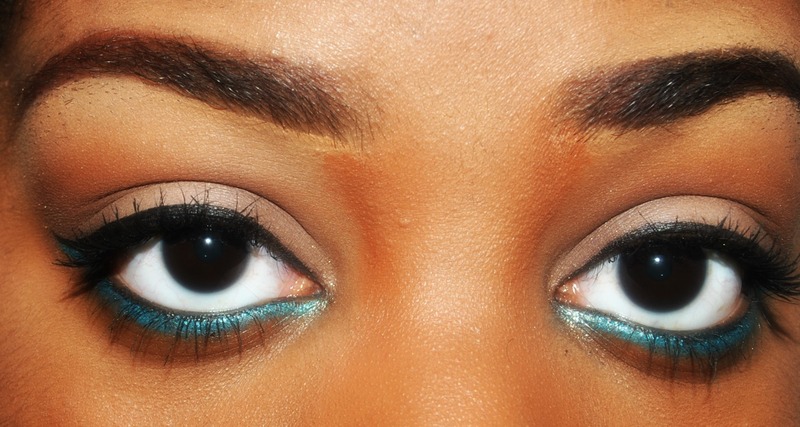 The eye pencils glide with such ease and really pop on my brown skin. Have you visited your local Sephora yet?